American Durafilm Co. fabricates all of our bags to custom specifications. 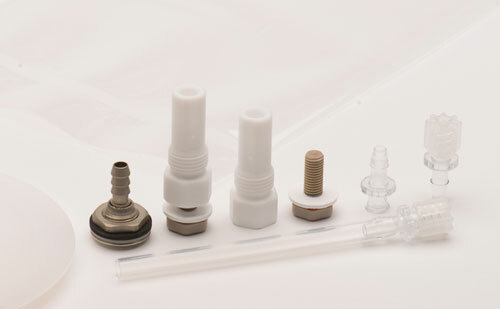 This includes heat sealing FEP tubing into the bag, installing custom bulkhead fittings, and heat sealing larger fittings for the most demanding applications. With our advanced heat sealing and fabrication techniques we can install or design almost any fitting to suit your application. We welcome your design requirements for fittings and tube ports In order to help you get the most out of your bags.